Former Cork footballer Graham Canty says that the support received by Kieran O'Connor has been 'surreal and unbelievable'. 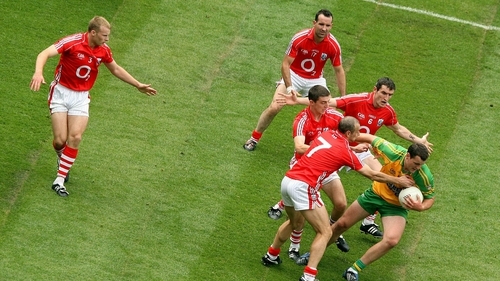 The 2010 All-Ireland winner is now battling cancer for a third time and over the last couple of weeks there has been a major fundraising drive to raise money for the O'Connor family. "The reaction has been unbelievable," Canty told RTÉ Sport. "The financial support has been surreal but the emotional support that Kieran and his family have got inside and outside the county and all over the country has been unbelievable. "It has really struck a chord with people. Kieran is young man with young family, his kids are seven, five and 16 months. He is fighting for his life and he has a battle on his hands and people really want to support him." On Wednesday a hurling game between Cork and Kilkenny will be played in Páirc uí Rinn. The game will be preceded by the County Senior Hurling Championship clash involving UCC and CIT, tickets will be available on the night. "In fairness to Brian Cody he wanted to come on board he wanted to support it. Straight away he said we will come down and we will play," said Canty.